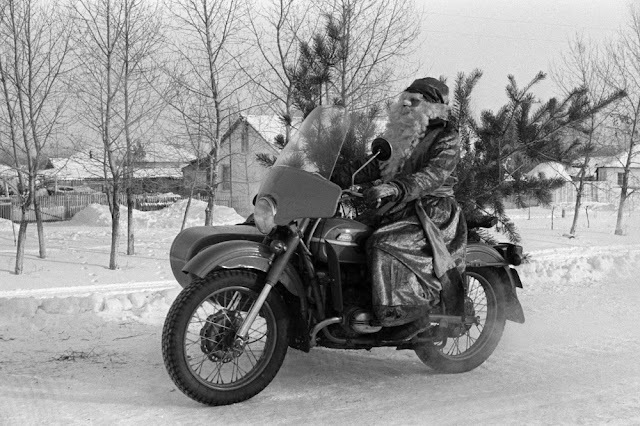 Ded Moroz is a Slavic fictional character similar to that of Father Christmas. 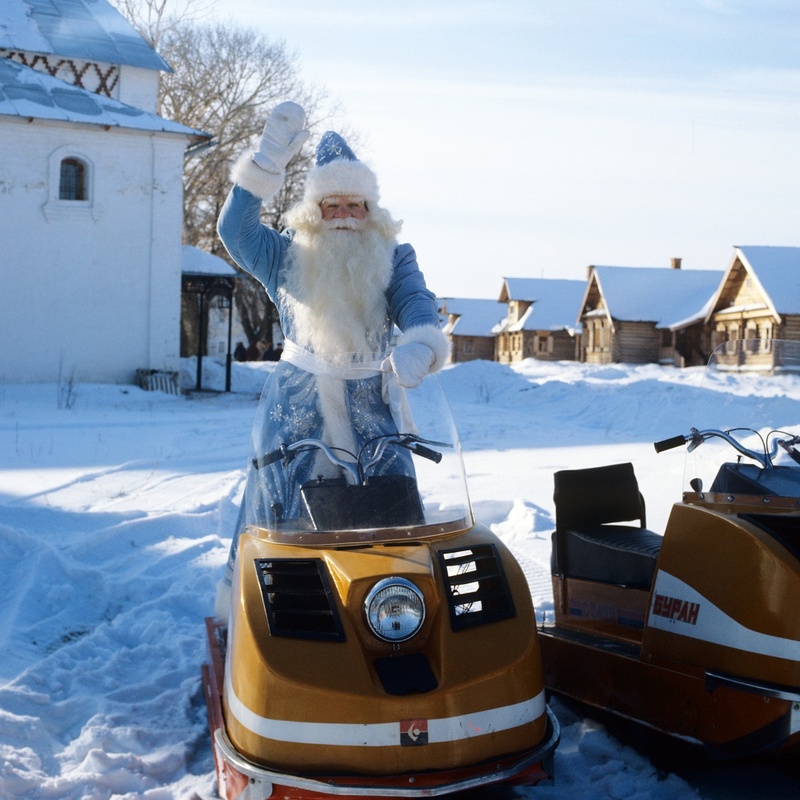 The literal translation is "Old Man Frost", often translated as "Grandfather Frost". 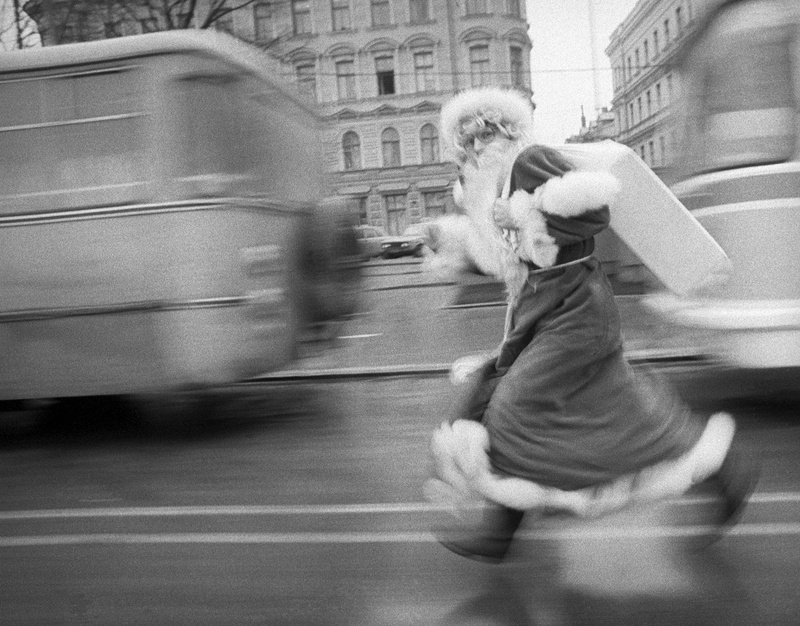 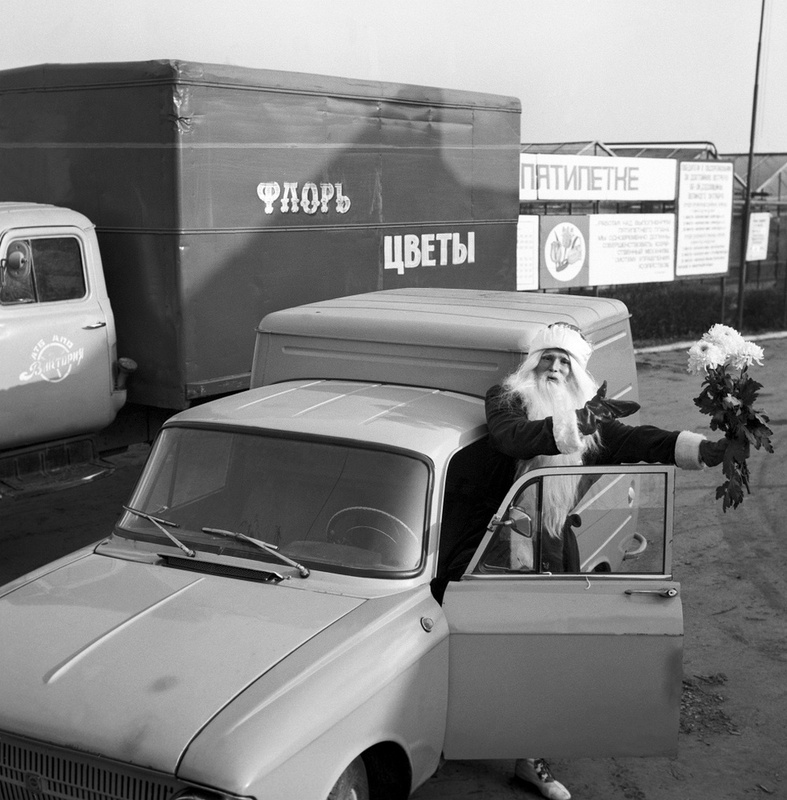 Ded Moroz brings presents to children and often delivers them in person on New Year's Eve. 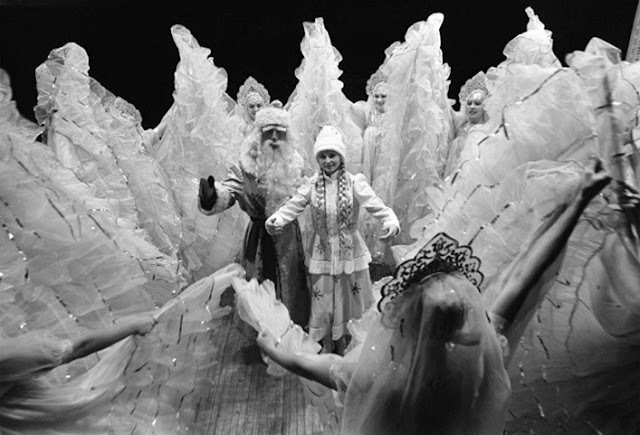 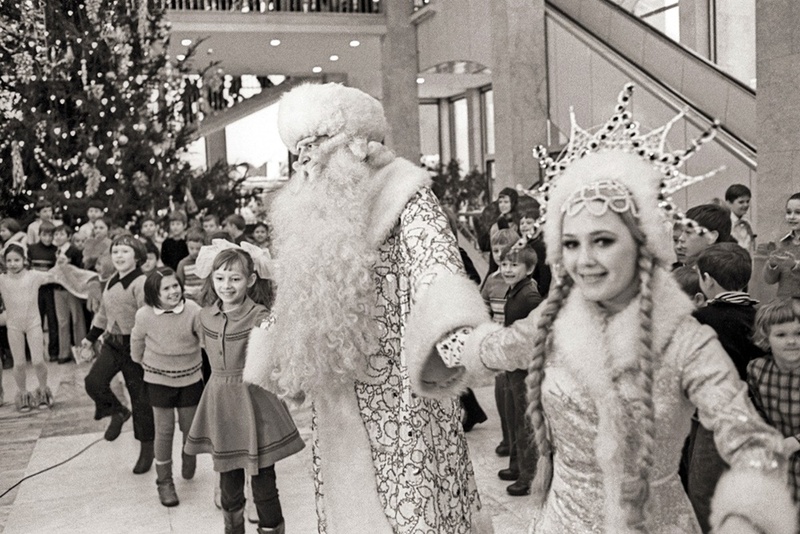 Ded Moroz is accompanied by Snegurochka, his granddaughter and helper, who wears long silver-blue robes and a furry cap or a snowflake-like crown. 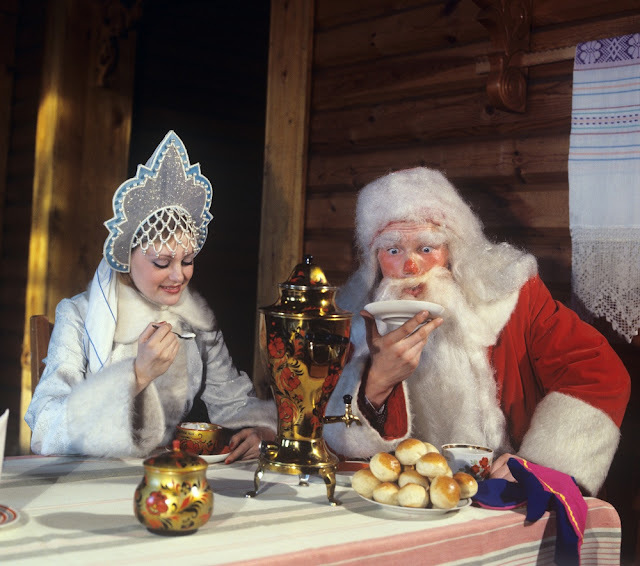 She is a unique attribute of Ded Moroz, since similar characters in other cultures don't have a female companion. 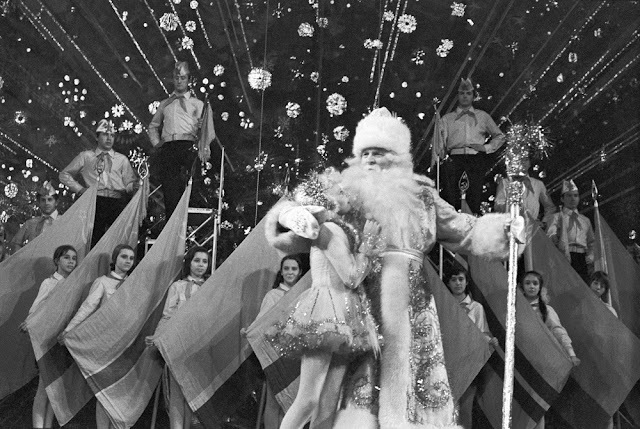 Ded Moroz wears a heel-length fur coat, a semi-round fur hat, and valenki on his feet. 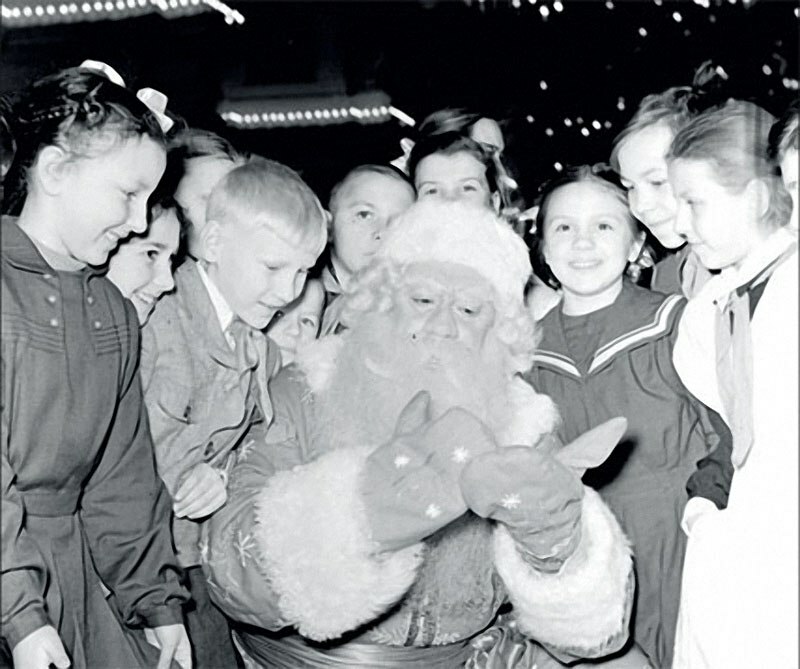 He has a long white beard. 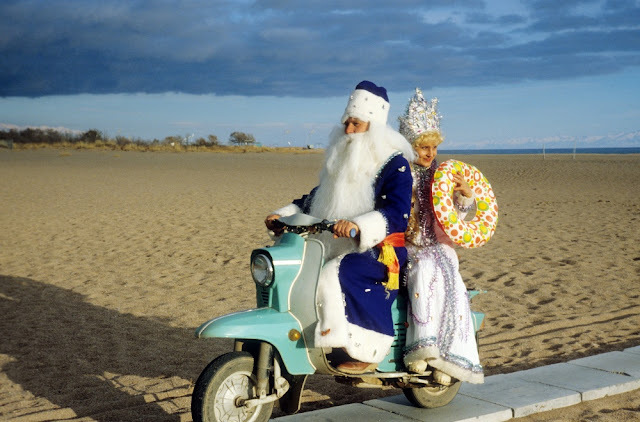 He walks with a long magic staff and sometimes rides a troika. 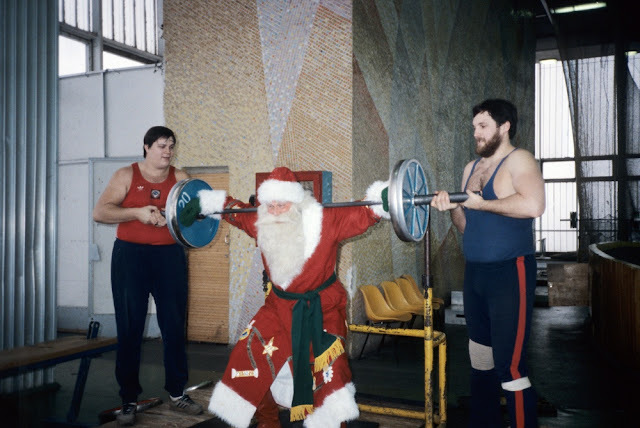 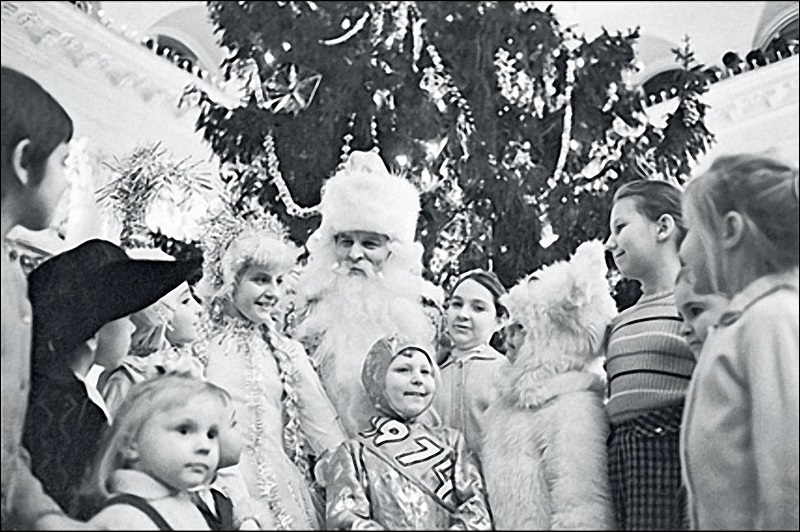 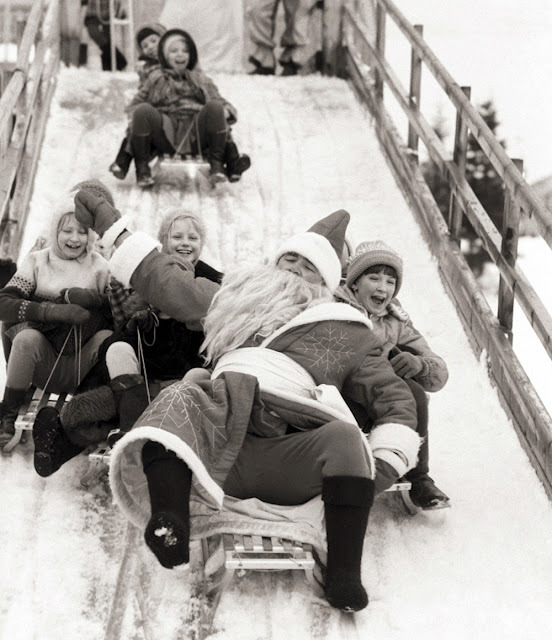 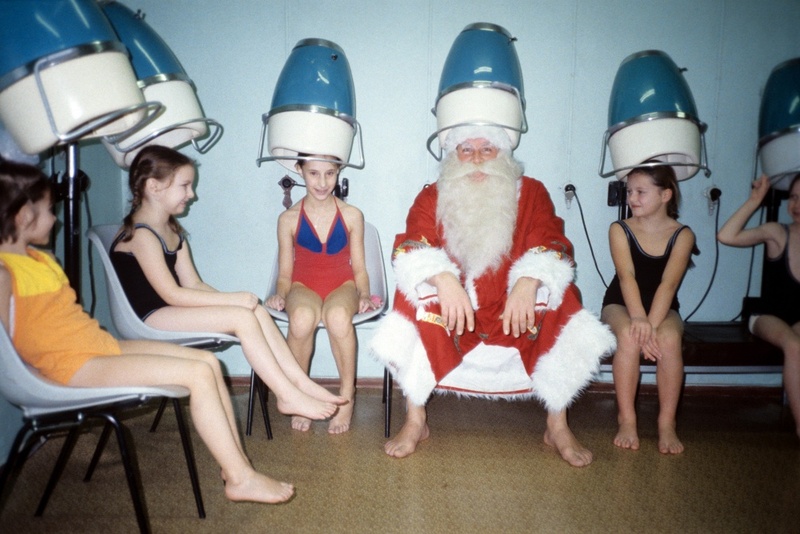 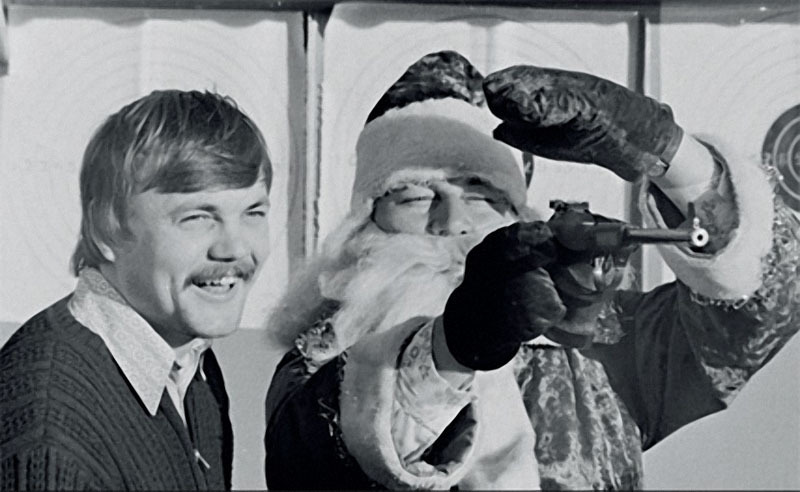 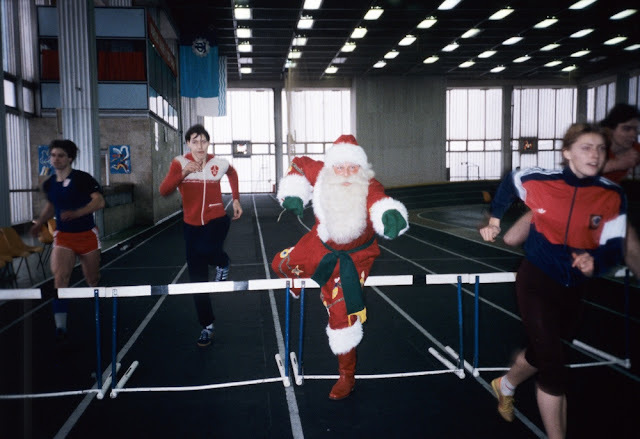 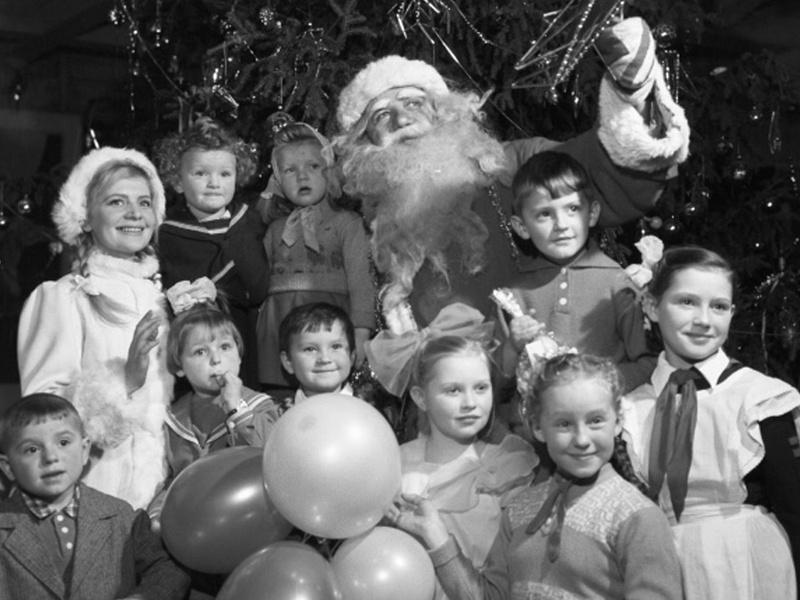 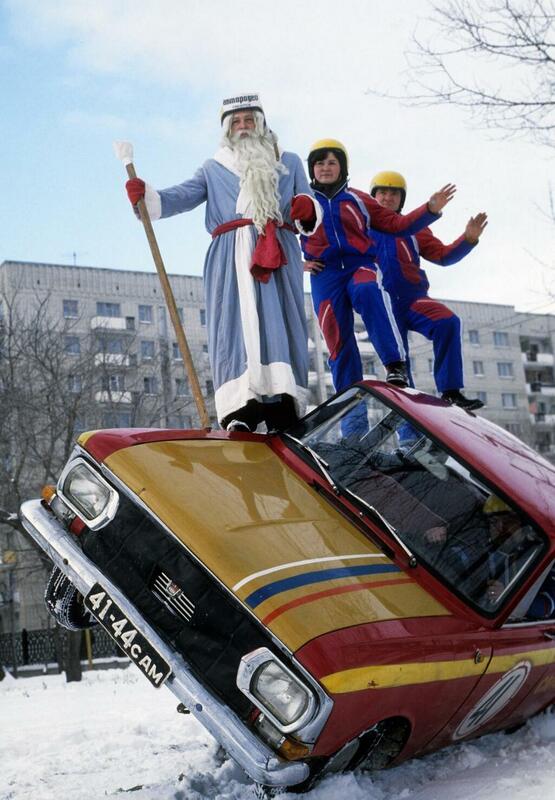 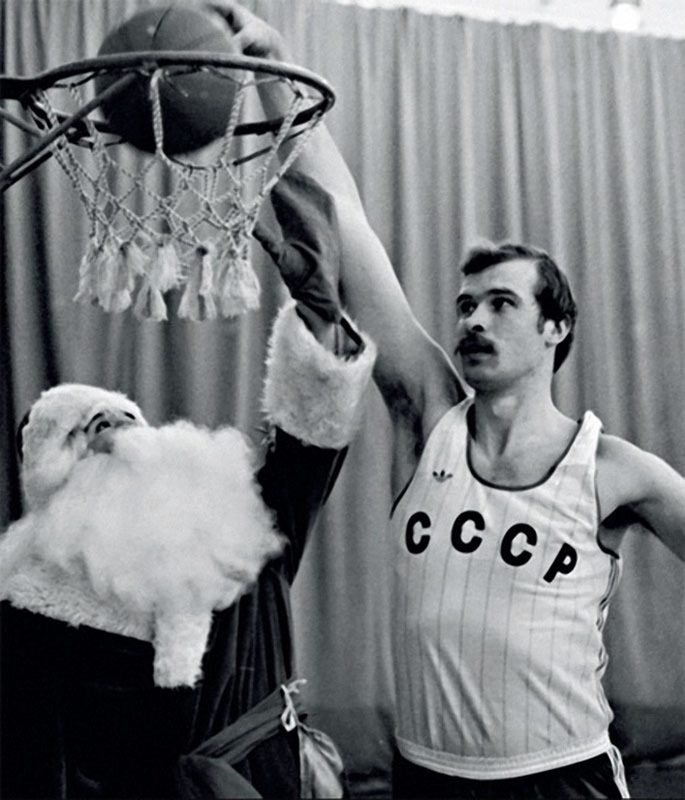 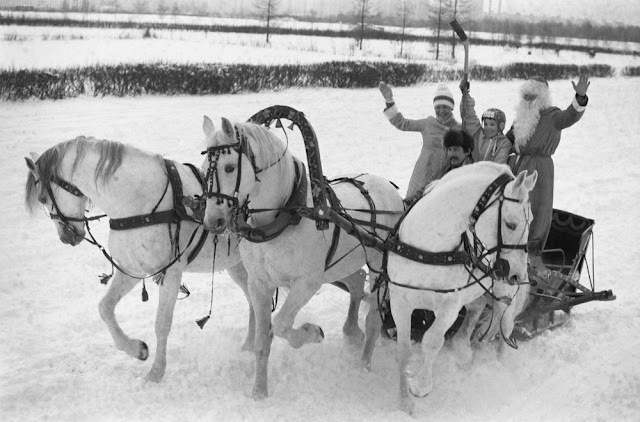 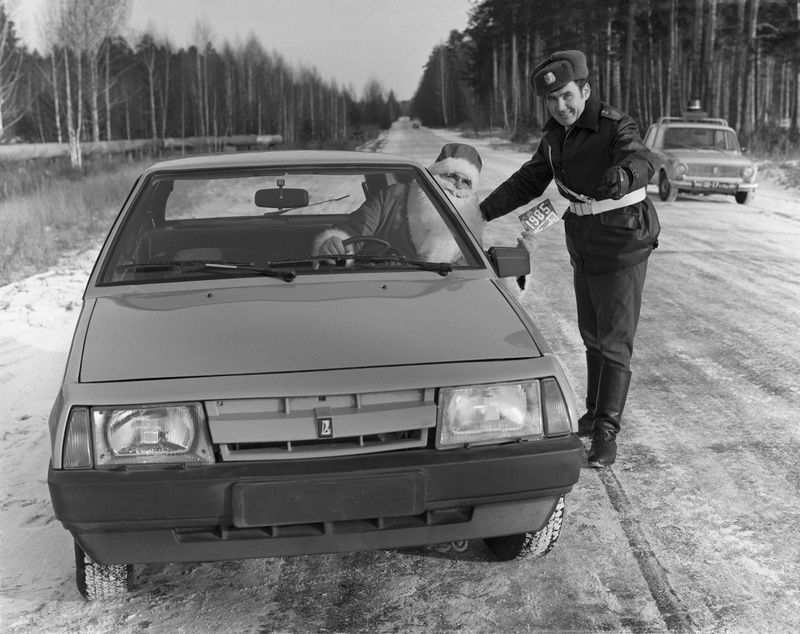 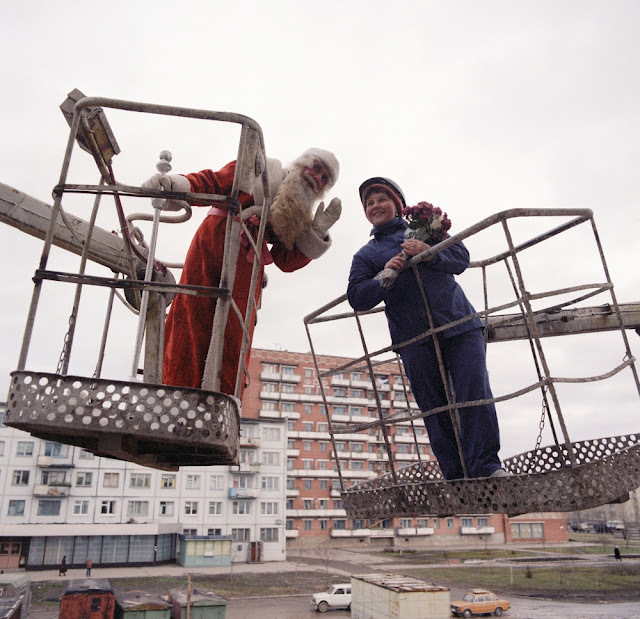 Here, below is a collection of 23 funny pictures of Soviet Santa Clauses from the 1980s.